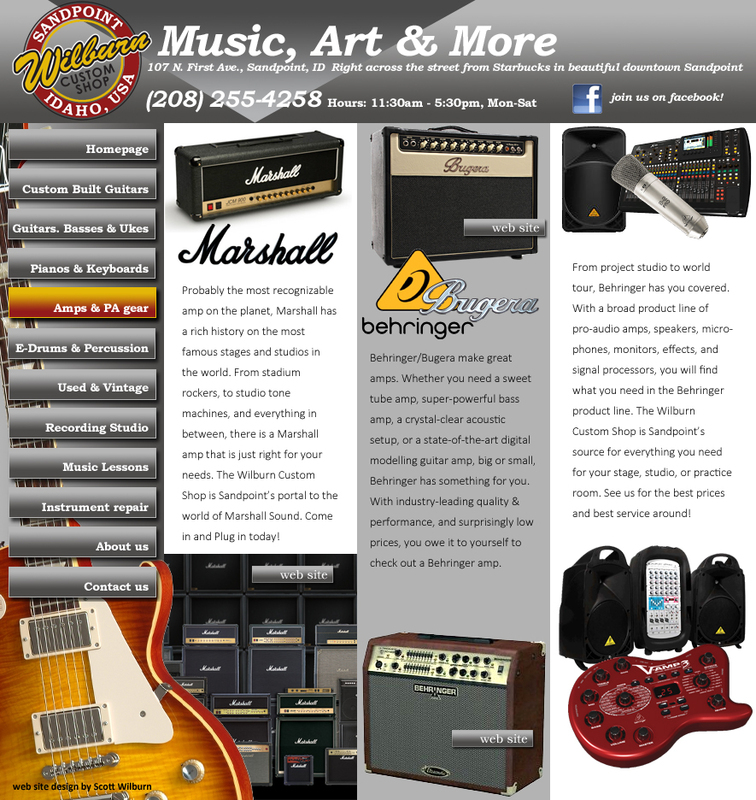 The Wilburn Custom Shop Shop in Downtown Sandpoint sells guitar amps, bass amps, keyboard amps and PA systems, monitors, amps and mixers. Authorized dealer for Marshall, Bugera, Behringer, Shure, Audio-Technica, Nady, and Teton. Call (208) 255-4258. The largest music store in Sandpoint Idaho.